Cells infected by the deadly Ebola virus may release viral proteins such as VP40 packaged in exosomes, which, as new research indicates, can affect immune cells throughout the body impairing their ability to combat the infection and to seek out and destroy hidden virus. 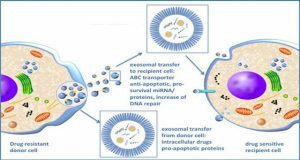 The potential for exosomal VP40 to have a substantial impact on Ebola virus disease is examined in a review article published in DNA and Cell Biology. 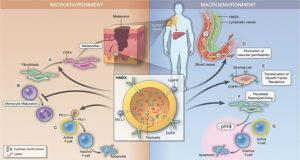 Researchers from George Mason University discuss the latest research on the effects of the Ebola VP40 matrix protein on the immune system. 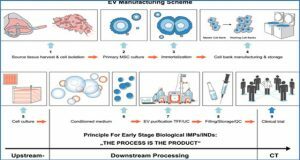 The authors suggest that in addition to VP40, additional viral proteins may also be packaged in the membrane-bound exosomal vesicles, intensifying the damaging effects on immune cells. 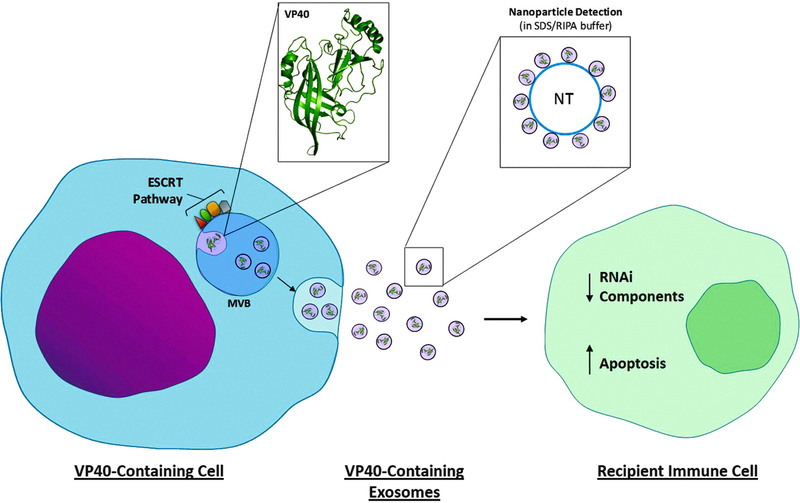 Ebola VP40 protein becomes integrated into exosomes with the modulation of ESCRT pathway components. Upon release, these exosomes can be received by immune cells (i.e., T cells). RNAi components, including Drosha, Dicer, and Ago, in both exosome donor and recipient cells can become downregulated. 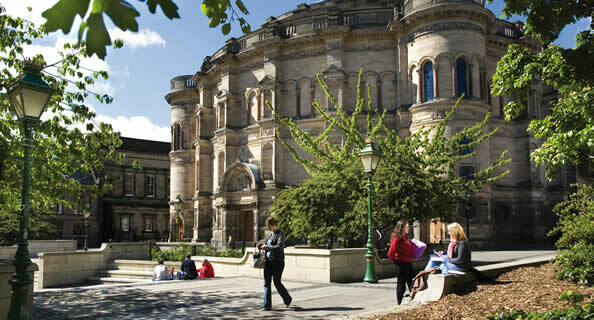 Recipient immune cells can then take part in programmed cell death. 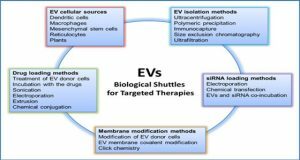 Nanoparticles may be used for the concentration of exosomes to detect viral proteins (and potentially RNAs) from samples, including human material using SDS buffer. ESCRT, endosomal sorting complexes required for transport; SDS, sodium dodecyl sulfate.